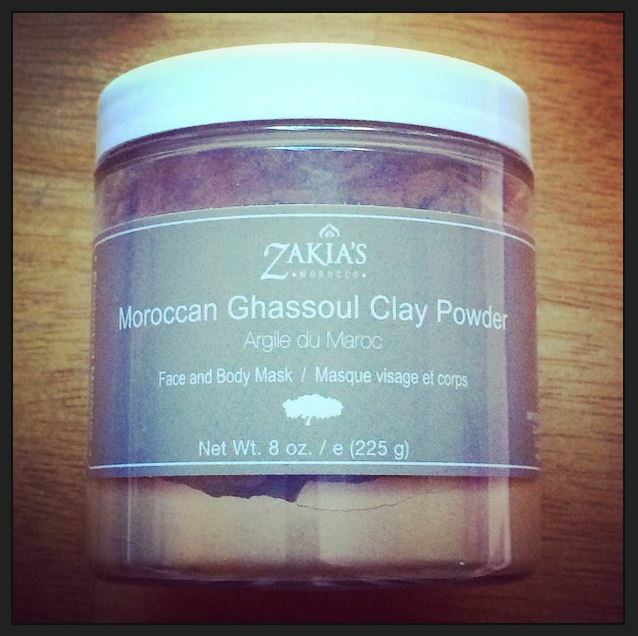 After reading about Zakia’s Morocco Moroccan Ghassoul Clay Powder, I was excited by its versatility: you can use it as a face mask, a hair mask, a clarifying shampoo, or as a whole body treatment. This product is made of 100% pure, natural clay mined in the Atlas Mountains of Morocco, and has cleansing, toning, detoxifying, and rejuvenating properties. So how does it work? All you need is the Ghassoul powder and water (and of course, a small bowl and spoon for mixing). After testing out this product as a facial mask, I found the best ratio for me was 3 tablespoons water to 1 heaping tablespoon of powder (so that it becomes a pasty texture). Simply apply it to your face, let dry for around 10 minutes, and rinse off! Use this mask weekly for the best results. Want the full-body experience? Just make more! For the hair mask, simply follow the same directions to create the paste, apply to your scalp and hair, and leave on for 5-10 minutes. For the clarifying shampoo, simply mix a palm-full of your favourite shampoo with an equal amount of Ghassoul powder, mix it together, and shampoo your hair as you normally would. This is not something I’ve tried yet, but is next on my list as I love a good clarifying treatment! My experience. I found the mask super easy to prepare and apply, and simple to wash off. All it took was a few splashes of water on my face to rinse it all away, leaving my skin feeling toned and refreshed. As someone with really oily skin, I loved that it left my face feeling smooth and matte. The instructions state that you may notice your skin becomes slighly reddish for 15-30 minutes after use (as the skin is detoxified), but personally I didn’t experience this. What’s also great is that this mask is gentle enough to naturally treat common skin irritations such as acne, psoriasis, and eczema. Overall, the Moroccan Ghassoul Clay Mask is both effective and a great value for money: it’s basically 4 products in one! Want to give it a try? Zakia’s Morocco is offering 20% off their entire store, just use the code: ZMBLOG-214. In addition to this, Zakia’s Morocco will be giving away 10 gift certificates valued at $50.00 each! To enter, click here. Have you tried this mask? Or are you going to be purchasing? Let me know in the comments below! *Product provided via Brandbacker for consideration. All opinions are honest and are my own.